Called the capital of the South, Atlanta is at the epicenter of this American region. With the busiest airport in the world, Atlanta is a city that keeps moving forward with a speed that’s almost dizzying. The Georgian city offers everything from culinary diversity to beautiful parks to top theatrical performances. Its museums will take you on a tour of the world of Coca-Cola, invaluable modernist art collections, and the harsh history that the city has witnessed. After all, Atlanta was a key city in both the American Civil War and the Civil Rights Movement. Its past still marks its present, with several historical centers, monuments, and memorials open to a public that is always eager to learn and understand more about two moments that shaped the history of the country. 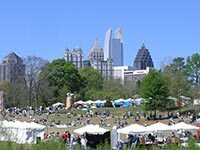 Atlanta offers a unique look into the future of the south- a future steeped into tradition but ready to welcome modern life with open arms. 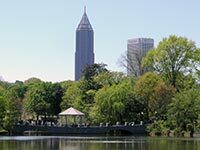 Atlanta’s very own Central Park is the perfect place to spend a sunny afternoon. With 189 acres, this is the city’s biggest public park, and a favorite spot for locals. 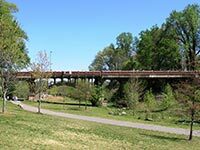 Especially popular on days when the weather is fair, this scenic park is a great place to walk, bike, or jog. Solo travelers and people looking for some much-needed introspective time, can enjoy laying in the grass, reading on a park bench, or simply walking around and people-watching. Families and groups often spend their time playing sports, picnicking, and basking in the sun under the comfortable shade of the trees. Those wanting to cool off can take a plunge in the pool, which is quite frequented in the summer. Originating as private land, the park hosted important expositions at the end of the 19th century, such as the Piedmont Exposition. These expositions were seen as necessary for the morale of the state, which had witnessed the city burning to the ground at the close of the Civil War. where? Piedmont Park is located in Midtown Atlanta. Visitors with cars often prefer to come into the park in their own vehicles. However, be aware that parking is scarce and you might spend too much valuable time circling around looking for a spot. Because of this, many people simply take the MARTA to the Midtown Transit station and walk to the park. when? The park is open from 6am to 11pm, making it convenient for all kinds of schedules. Visitors should be aware that the hours of operation may vary when special events are being hosted at the park. £$€¥ Entrance to the park is free. Food vendors are not allowed in except for special events so you will have to pack snacks and lunch if you wish to eat here, but you will not have to spend any money once inside the park. However, keep in mind that there is a small fee for going into the swimming pool. One of America’s most beautifully curated Botanical Gardens, it provides the perfect opportunity to stop and smell the roses. 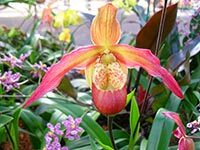 Starting with the striking visitor’s center, which greets you with unexpected elegance, the Atlanta Botanical Garden is a place that constantly surprises you. 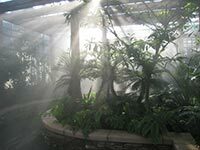 Counting with 30 acres of land, the garden was established in 1976 with the mission to preserve, curate, and exhibit a variety of floral species. A mission that it has faithfully kept. The Botanical Garden exhibits rare plants that most visitors would never get a chance to see otherwise. And while looking at flowers may not necessarily sound like the most exciting way to spend your time in the city, by the end of your visit you will realize how utterly interesting plants can be. With canopy walks, sculpture gardens, especial exhibitions on beautiful species like orchids, and much more, you don’t need to be a Botany nerd to appreciate everything the garden has to offer. where? 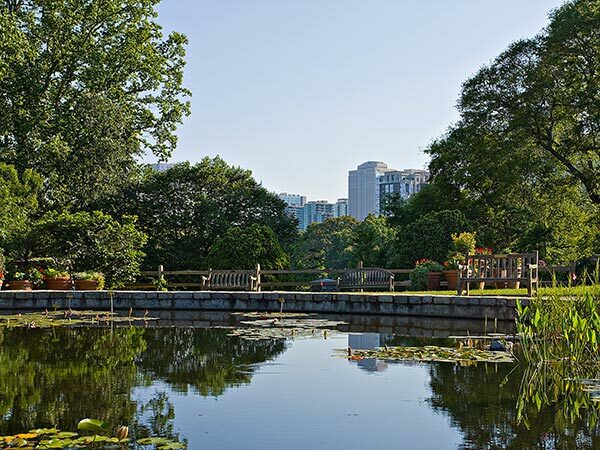 The Atlanta Botanical Garden is located on the northern corner of Piedmont Park. To arrive on public transportation, take bus route 27. Parking is available for those who have access to a private car. when? The Garden is open everyday except on Mondays and certain holidays. Hours of operation are 9am to 7pm from April to October, and 9am to 5pm from November to march. £$€¥ Admission tickets are $22 for adults, and $16 for children ages 3 to 12. Children under the age of 3 are admitted free of charge. Established in 1980, this historical site is a remembrance of a leader and a movement that shaped the history of the United States. 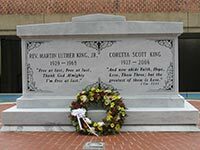 No United States resident is ignorant of the name Martin Luther King Jr. After all, this leader of the Civil Rights Movement played a central role in the fight for African-American equality that overtook the nation during the 1960s and 1970s. 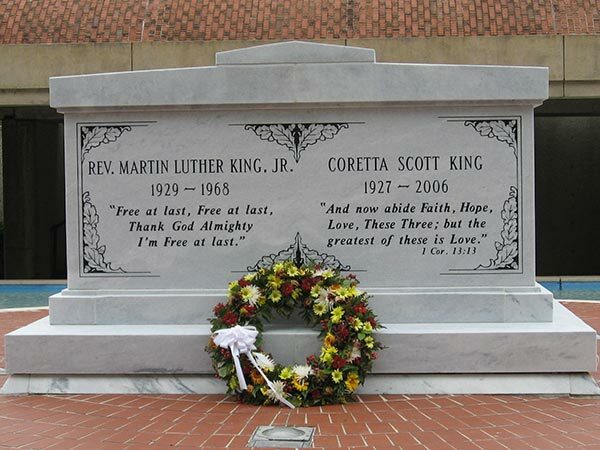 This National Historic Site commemorates several landmarks that are connected to Dr. King directly, or to movements for equality around the world. 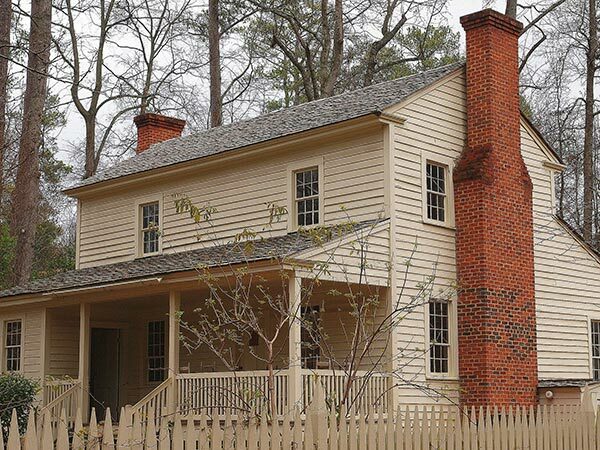 Visitors can take a tour of the birth home of Dr. King, where a guide will give some insight into his early life. 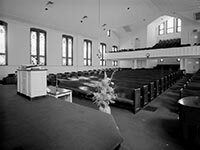 Other landmarks in the site include the Ebenezer Baptist Church, where Dr. King was a pastor, a museum that chronicles the history of the Civil Rights Movement, a memorial to Mahatma Gandhi, and the symbolic “I Have a Dream” International World Peace Rose Garden, amongst many others. For anyone wishing to understand the history and the complex present of the United States, this is a must-see attraction. where? 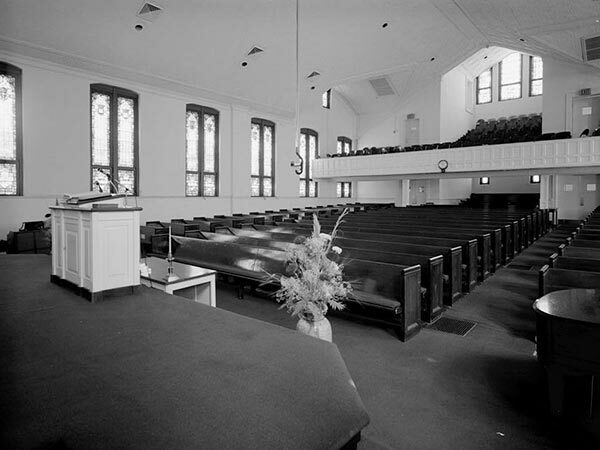 The entire site is located on the Sweet Auburn neighborhood. It is accessible on the MARTA at the King Memorial station. when? Hours of operation vary from landmark to landmark, though most sites are open between 9am and 7pm. Dr. King’s Birth home is open from 10am to 4pm, so plan your visit accordingly. It is important to arrive as early as possible, as many of the tours offered are on a first-come, first-served basis and cannot be reserved beforehand. Some of the sites, like the Birth Home, can only be seen on a guided tour. £$€¥ The Martin Luther King Jr. National Historical Site is part of the National Parks Services and entrance is free of charge. There are gift shops and donation boxes throughout the site for those who wish to buy souvenirs or contribute to the preservation of the site. Historic houses, gardens, costumed reenactors: The Atlanta History Center is not your typical museum. Opened in 1926 and dedicated to the preservation of the history of Atlanta and Georgia, the Atlanta History Center is one of the most dynamic museums you’ll visit. The entire center expands over 33 acres and counts with a variety of permanent and temporary exhibitions that immerse visitors in the past. 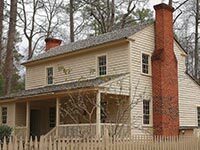 Several historic homes of different social classes portray an intricate view into the life of people at various moments in history. The Tullie Smith Farm has costumed farmers which reenact what a plantation was like in the mid-1880s, while the Swan House provides an insight into the delicacies enjoyed by the upper classes in the 1920s. The complex also includes the Margaret Mitchell House, where the Pulitzer Prize winner worked on her chef d'oeuvre, Gone with the Wind. Besides historic homes, there are gardens and trails, where visitors can enjoy the beauty of nature and see several species native to the state. There are also galleries, a history museum, and one of the largest Civil War artifact collections in the country. where? The Atlanta History Center is located in the Buckhead District, one of the most affluent neighborhoods in the city. There is parking available for those arriving by car, and those taking public transportation can hop on bus No. 110.
when? The general hours of operation are from 10am to 5:30pm Monday through Saturday, and from 12pm to 5:30pm on Sunday. However, hours vary by landmark so visitors are encouraged to research specific hours prior to visiting the center. 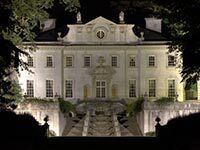 £$€¥ Price of admission is $21.50 for adults; $18 for students ages 13 and up, and seniors; and $9 for children ages 4-12. Children under 3 are admitted for free. The general admissions ticket includes entrance to all exhibitions and landmarks associated with the History Center. A dark past, a controversial memorial, and beautiful scenery mark this fascinating landmark. 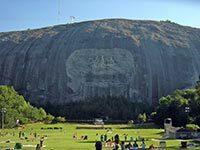 Those who don’t know the history of the American South enjoy Stone Mountain for its scenic views, and impressive nature. With the largest bas-relief in the world (23 by 48 metres), this quartz monzonite is truly awe-inspiring. Especially, with the three gigantic faces carved on its side. For those with a little more background on the nation’s history, the controversy of these faces adds a layer of interest to the visit. 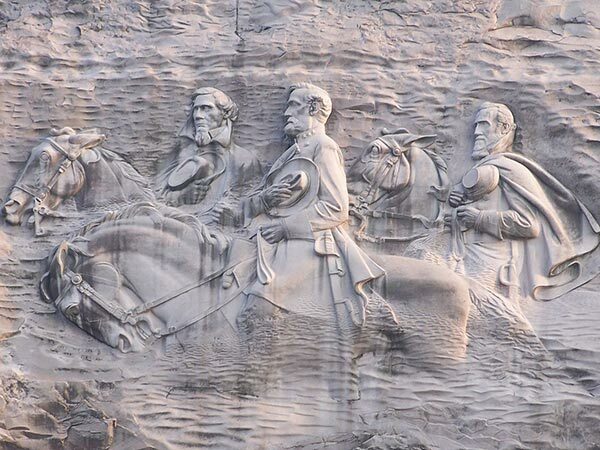 An attempt to make it the Mount Rushmore of the South, it glorifies three major figures of the Civil War: Stonewall Jackson (a Confederate general), Robert E. Lee (the Confederate commander from 1862 until his surrender in 1865), and Jefferson Davis (the President of the Confederate States between 1861 and 1865). This tribute, built between 1916 and 1972, has been the ground for many debates and controversies. For example: should it be removed or replaced by a tribute to Union forces and leaders. 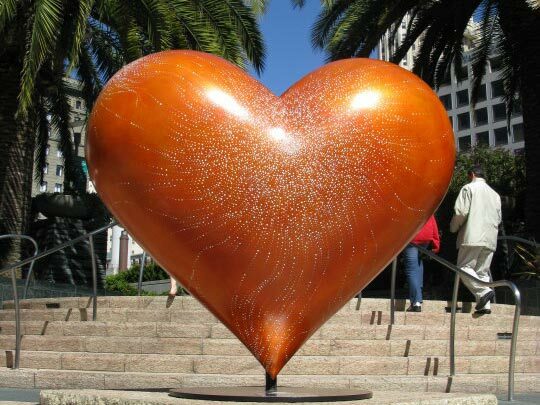 Today, however, the site offers much more than the controversy of its tribute. Besides the views from the summit, there is a wildlife preserve, a beach, restaurants, two golf courses, and a plantation open to visitors. where? 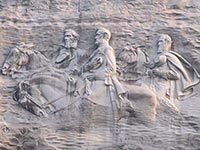 Stone Mountain is located east of Atlanta. Visitors must arrive by car, as there is no public transit available for it. The drive from the city centers takes around 35 minutes. when? The park is open everyday from 6:00am to midnight. It is usually busier in the early afternoon, when most people are free to visit it. In the summer, there is a night laser show. £$€¥ Admission is $10 per car. The price includes most of the landmarks and attractions, but there are additional fees incurred in some of the landmarks, such as the plantation.